President Obama has recognized four Pitt professors for their groundbreaking research — and their careers are just starting out. 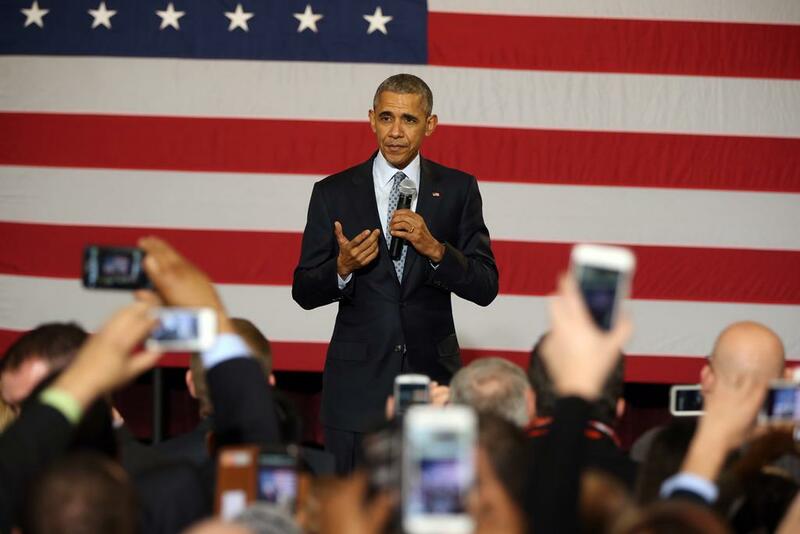 According to a release from the University, Obama awarded 105 researchers — four from Pitt — with the Presidential Early Career Award for Scientists and Engineers Friday, Feb. 19. From Pitt, Ervin Sejdić, an assistant professor in the Swanson School of Engineering; Elizabeth Skidmore, chair of the Department of Occupational Therapy in the School of Health and Rehabilitation Sciences; Tina Goldstein, associate professor in Pitt’s School of Medicine; and Cynthia Puranik, former associate professor of communication science and disorders, received the award for their research and innovation. According to the release, the award goes to science and engineering professionals as they begin their independent research careers. Each year, Obama selects about 100 recipients based on their level of innovation and commitment to research as well as their community service work. The Office of Science and Technology Policy within the Executive Office of the President coordinates the awards, which began in 1996 during Bill Clinton’s presidency. In 2009, Gonzalo E. Torres, a Pitt professor in the School of Medicine, also received the award. Pitt is tied with Massachusetts Institute of Technology for the highest number of recipients, followed by University of California, Berkeley, which has three recipients. At Pitt, the four recipients focus their research on a variety of topics, from Sejdić’s work on medical devices to Goldstein’s work on psychosocial treatments for youth. Goldstein, who has worked on more than 60 published studies, said in the release that the award would motivate her to continue researching, studying and innovating. For Sejdić, the award was an honor for him and, by extension, the people who have helped him along the way.